Surgical Associates of Palm Beach County / Boca Care (SAPBC) is the oldest and largest Multi-Specialty Surgical group practice in South Palm Beach County , with over 250 years of combined surgical experience. The group is made up of 12 surgical specialists offering the finest and latest treatment for a wide variety of surgical problems. Quality outcomes and our commitment to constant improvement are our main goals. 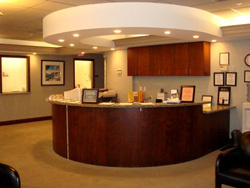 Our surgeons are proficient in advanced laparoscopic surgery , as well as other minimally invasive surgical techniques. We provide special expertise in Abdominal, Colon and Rectal, Hernia, Breast, Thyroid and Parathyroid, Gall Bladder, Vascular and Endovascular, Thoracic and Oncologic Surgery. We also have developed Boca Vein Care, for the treatment of varicose veins providing the latest non-invasive procedure EndoVenous Laser Treatment (EVLT). SAPBC is a group practice. As such, we share coverage with each other on an alternating basis. This assures the patient continuity of care, since we each have access to your medical records. At least two of our surgeons are available for emergencies seven days a week, twenty four hours a day. In addition, we frequently assist each other in the Operating Room with the more challenging surgical cases and have open discussions about complicated medical and surgical problems if they should arise. Your care while in the hospital is supervised by your your surgeon or another surgeon in their absence.